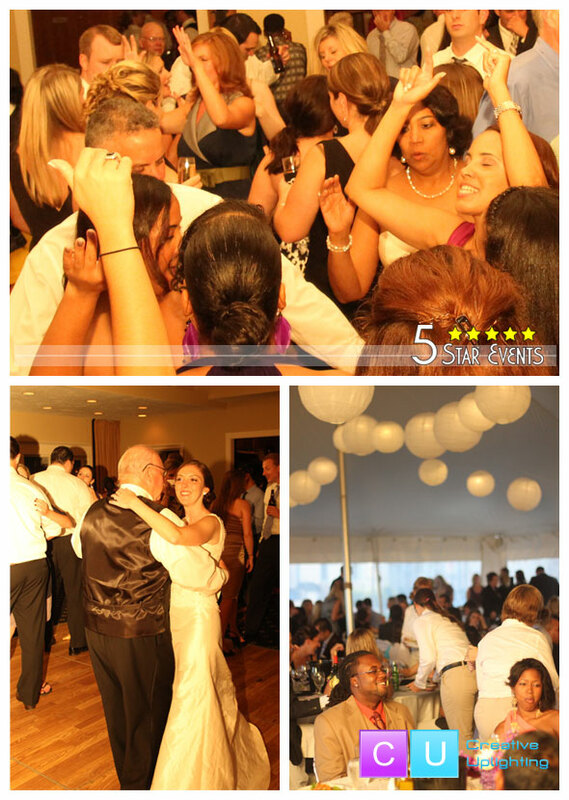 Consider 5 Star Events for uplighting and special event lighting for weddings in Boston, on the Cape and all over the South Shore of Massachusetts. 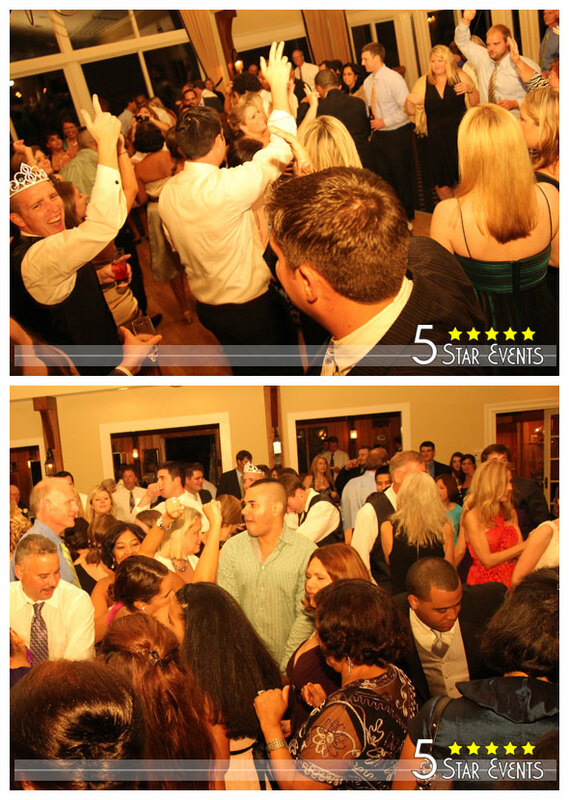 I’ve worked weddings in just about every room on the South Shore but 9/24 was my first at the Scituate Country Club. I loved it and hope to be back soon!! The space has a large, open and airy dining room with floor to ceiling windows overlooking the beautiful & scenic Scituate Harbor. For warmer months, there is a 40′ x 60′ tent with equally amazing water views. Catering for events is deliciously prepared by Mark & Julie Ellis and their company the Chef’s Table. 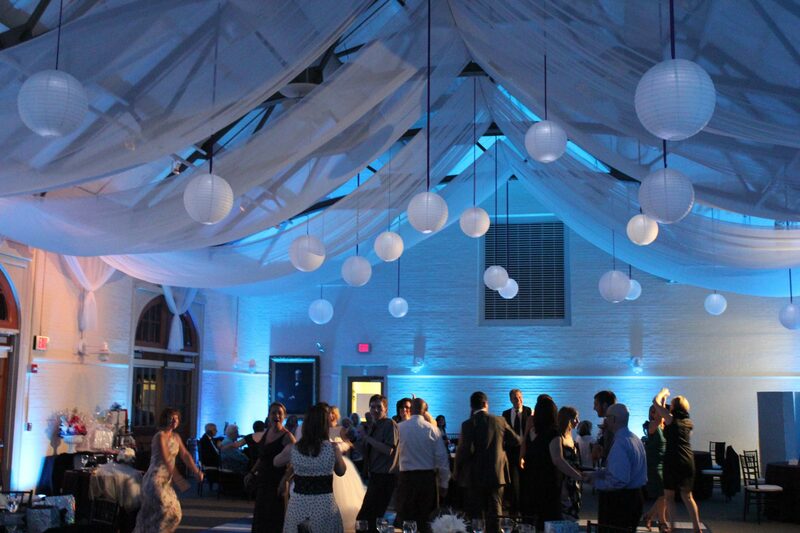 If you’ve been following this blog you or are a client of 5 Star Events, you probably know that we offer amazing event lighting through our sister company Creative Uplighting. You also may know that we’ve been working on a revolutionary new way to light paper hanging lanterns. Well our lantern light is now a reality and we’ve been using it in the field. 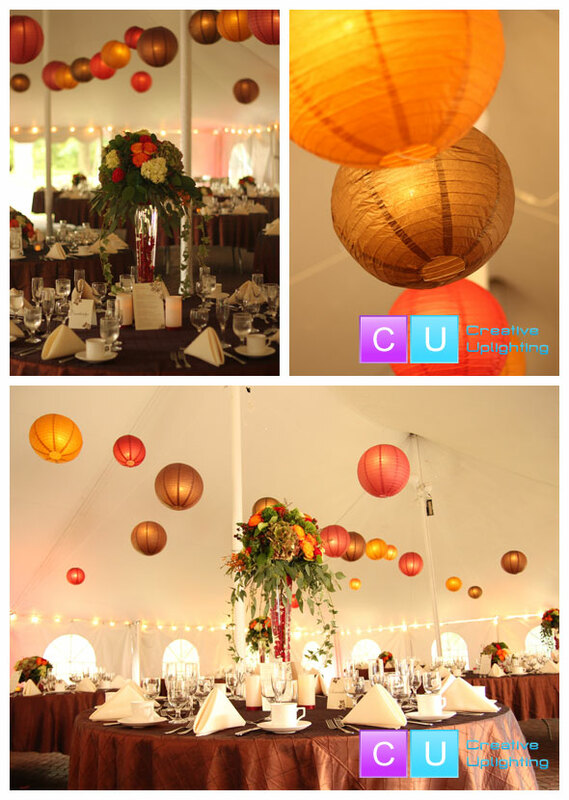 The images below are of fall themed lanterns at the Commanders Mansion of Watertown. 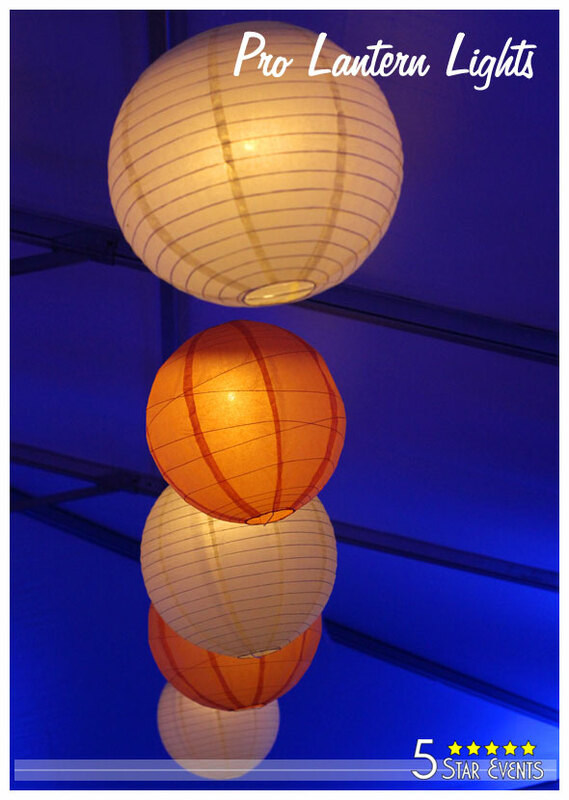 We are so pleased with the result and are excited to bring these lanterns to more and more weddings this coming year!! If you’d like to find out more about Creative Uplighting and our other offerings, please visit www.creativeuplighting.com or better yet, drop me an email. Tonight Dave and I participated as Wish Granters in the organization Wish Upon a Wedding.What a rewarding experience!! Wish Upon a Wedding is a wish granting organization that provides weddings and vow renewals for couples facing terminal illness and serious life altering circumstances. To my friends in the biz, if you feel like giving back I encourage you to visit http://wishuponawedding.org/ and become a Wish Granter. You won’t regret it. For this event we provide uplighting for a wedding at the Lars Anderson auto museum. It was great to work with some friends in the business, including: Elizabeth & Adrienne from Gracie Lou Events – www.gracielouevents.com (fellow A-List Winners), Espresso Dave – http://www.espressodave.com/, Photographer Jill Person – http://www.personkillian.com, & Karen Hasenfus of the Larz Anderson Museum – http://www.larzanderson.org. All are amazing in their fields and I would give each the highest endorsement. Ok, we’ve finally got some great shots of our new lantern lights in action. If you haven’t been following along, my ProDJpc partner Paul Gormley & I have been perfecting, in our opinion, the only “useable” battery powered light source for paper hanging lanterns. 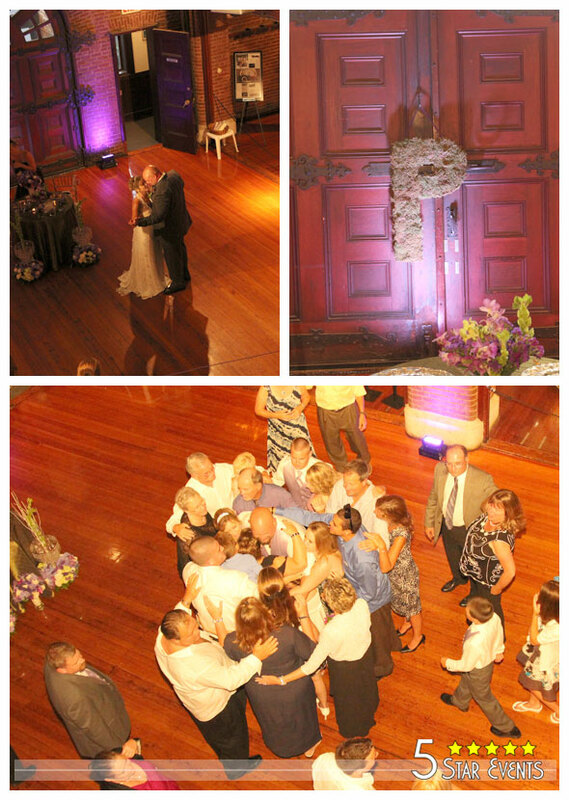 Through my lighting company Creative Uplighting, we’ve used just about every available light source. It was so frustrating because nothing we could find worked well enough to meet our standards – either the lights looked like they were barely on, they glowed with an unnatural bluish tint, or they died out midway through the party. Of course there are plug in solutions but running extension cords isn’t always practical and can be very time consuming. I’ve seen tent companies who charge $50 per lantern just to make up for the hassle involved in running all of the cables. I love the way lanterns look, so with Paul’s help, I set out to find a solution. My requirements were simple. First the light would have to be bright enough to compete with plug-in lights. Second, it’s much easier to set up in advance of the party, before the tables are in and set up. That means the lights would have to last considerably longer than the party. Lastly, the fixtures would preferably be rechargeable. So as you can see our product is here and the results are clear. These lantern lights are fantastic!! It’s been a long time coming, but here’s my new website and blog. I’m excited it’s finally here. Now I just need the time to keep it up to date. That seems to be the biggest issue with blogs. So here’s my first installment and it’s only fitting that Pia & Brian have the first post. Their wedding just passed and I’m happy to say I’ll be adding them to to my Top 10 Weddings of All-Time. I really don’t have a list per-say, but after 25 years there are weddings that I’ve been part of that I’ll never forget. This is surely one of them. Pia & Brian are a couple that as soon as you meet them, you feel like you’ve known them your whole life. They’re warm & thoughtful and really take the time to make you feel appreciated. Today it seems as though everyone’s in a rush and these niceties are often overlooked. In addition to the music Pia & Brian entrusted me with the lighting and some of the décor. I am part owner of Creative Uplighting an event lighting company that typically provides wireless LED uplighting and monograms. We usually don’t do anything that involves ladders or scaffolding. 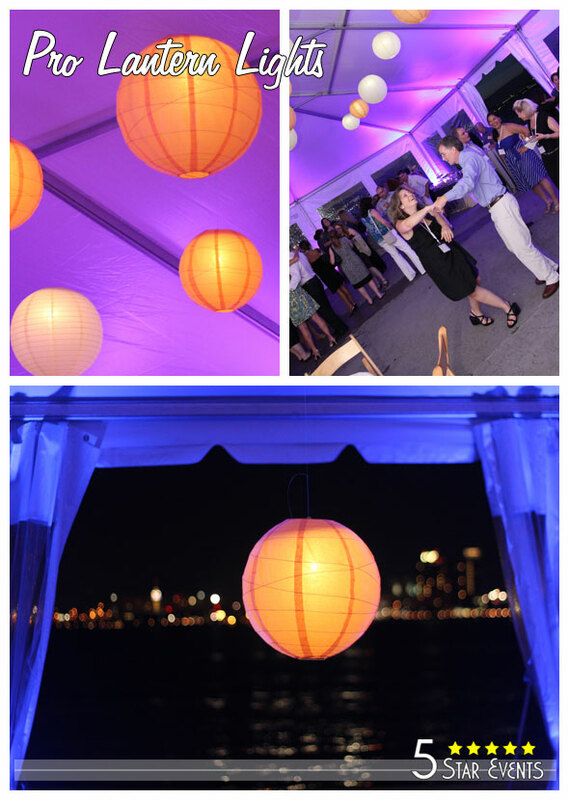 This event was different, Pia and Brian contracted us to provide the uplighting but also 50 chinese lanterns, a fabric lined ceiling & an 18’x20′ black & white checkerboard dance floor. This space has 30′ ceilings so we had our work cut out for us. Rather than ramble on about the details, I’d love you to see the results. Here’s a Same Day Edit video produced by the very talented wedding videographer Jeff Brouillet. If you’re looking for a wedding videographer, I highly recommend his work. 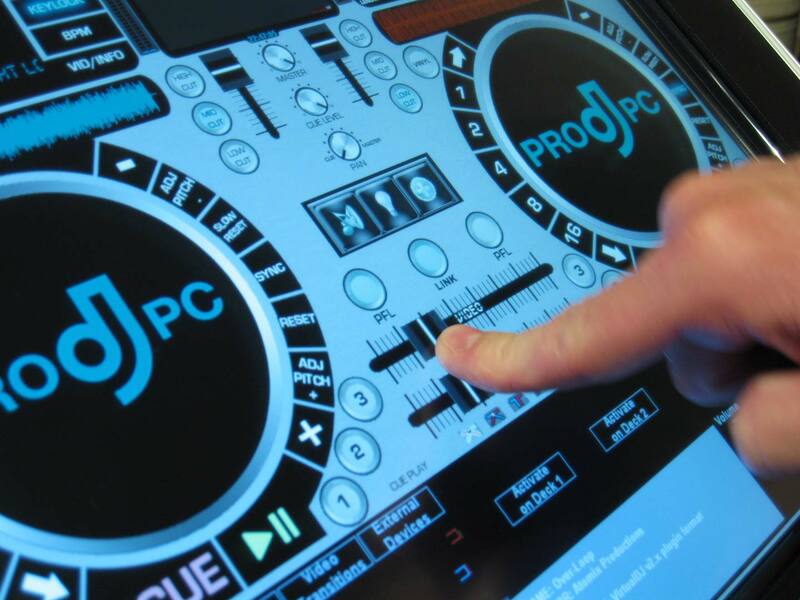 You can see it at www.hdjeff.com. Pia + Brian | same day edit from Jeff Brouillet on Vimeo.